Dimensions 1.50 by 6.75 by 10 in. 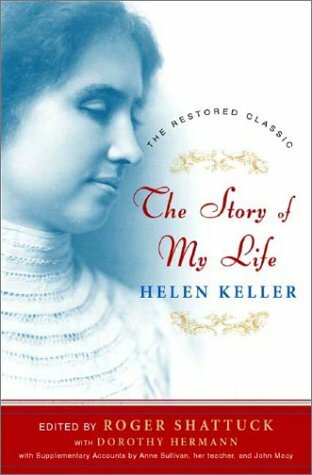 Helen Keller's personal recollections and correspondence reveal her relationship with her beloved teacher, Annie Sullivan, and the problems and obstacles she encountered as she struggled to overcome her handicaps, in a new edition that includes Keller's own reminscences, Anne Sullivan's letters, and other documentation by their young assistant, John Macy. One of the "hundred most important books of the twentieth century" (New York Public Library), finally published in complete form. The story of Helen Keller, the young girl who triumphed over deafness and blindness, has been indelibly marked into our cultural consciousness. That triumph, shared with her teacher Anne Sullivan, has been further popularized by the play and movie The Miracle Worker. Yet the astonishing original version of Keller's and Sullivan's story, first published in 1903, has been out of print for many years and lost to the public.